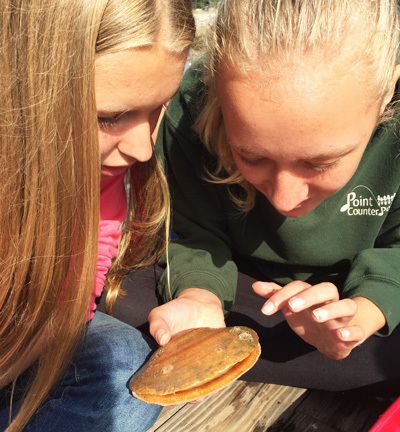 Earlier this month, Waldorf School of Lexington teachers Paula van den Broek and Helena Niiva journeyed to Maine’s Hurricane Island with 31 seventh and eighth grade students for an unforgettable four-day experience in nature’s classroom. 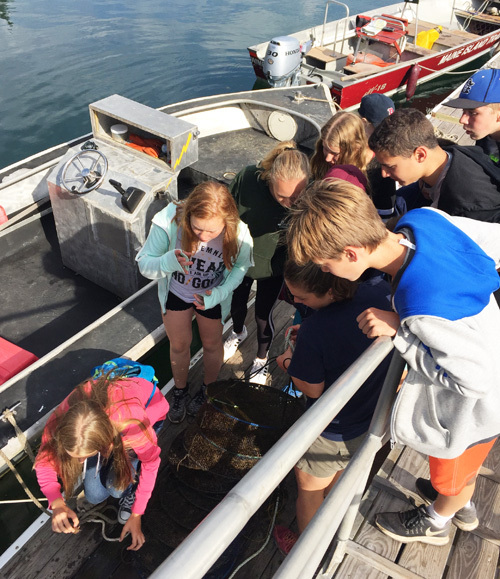 Hurricane Island Institute partners with schools in New England to run field research-based programs, aligned with the Next Generation Science Standards, that give students first-hand experience with the scientific process. Paula and Helena visited the island in April and started designing the trip to include the intertidal environment, sustainable infrastructure, terrestrial ecology, and freshwater resources. Learning in nature and connecting with the natural environment are hallmarks of Waldorf education. The trip was also a special opportunity for students to forge friendships across the grades through team-building exercises including raft making, rowing, and rock climbing. We are delighted that our students could experience environmental science on Hurricane Island. We intend to continue to offer this incredible program bi-annually for our 7th and 8th grade students.